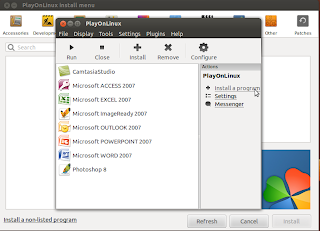 In my previous blog I have discuss about "How to install PlayOnLinux and create a virtual drive" (http://mahidulsblog.blogspot.com/2013/05/how-to-install-playonlinux-in-ubuntu.html). 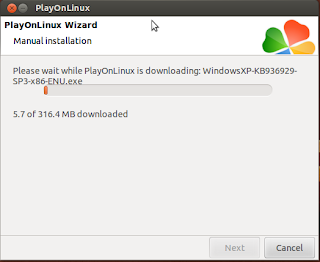 Here we will see how to install a windows softwares or games using that virtual drive.
. 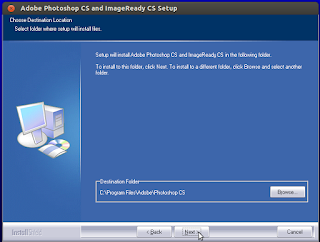 If somehow you have canceled the previous installetion process do the below steps or follow the step 2. 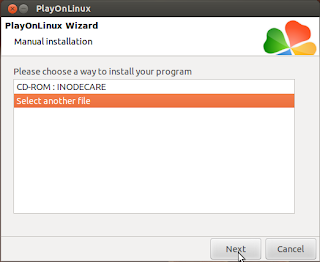 Select "install a program" and "install a non-listed program" from the bottom.
. 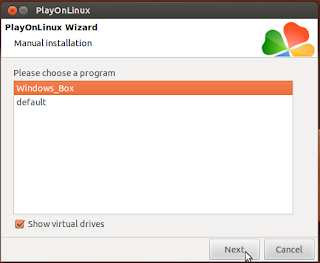 Select "Show virtual drives" and select the previously created Windows_box.
. install pop_install_flash, pop_install_directx, pop_install_sharpsmothRGB, pop_install_linuxtrack, pop_install_msxml3, pop_install_msxml4, pop_install_msxml6, pop_install_VedioDriver, pop_install_xvid, pop_internal_installFonts, pop_wine_installCDrom, pop_wine_LinkCDrom etc to install the software properly.
. After installing the PLayOnLinux And create a virtual drive on it We will see the "Manual instatallation" dialog box like below- Select another file and press next.
. Browse the backup software from your Hard disk.
. Select the setup.exe from your local hard disk.
. 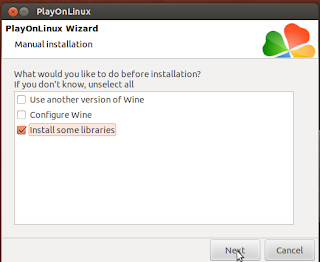 Install the software like windows.
. 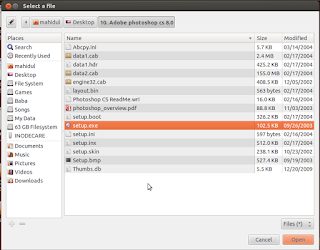 Select the desktop shortcut file and press next.
. 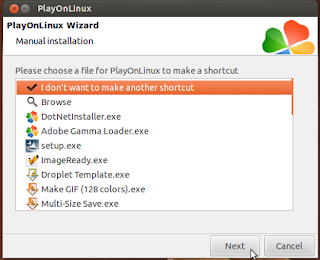 If there are no other shortcut then select "I don't want to make another shortcut" and press next.
. Now open the Photoshop from the desktop icon. 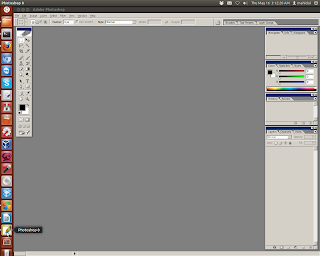 Right click on the photoshop from the Left bar and select "Lock to Luncher"
Woohoo!!! 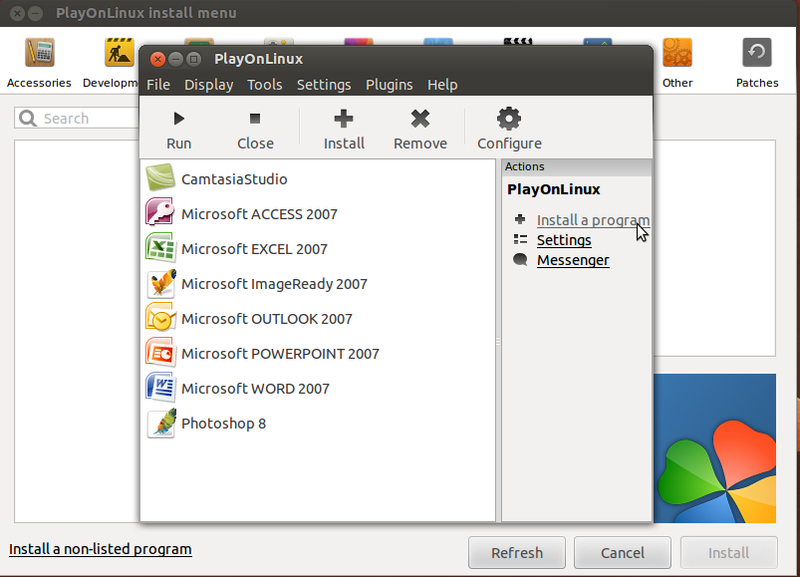 you have successfully installed Photoshop in linux system. 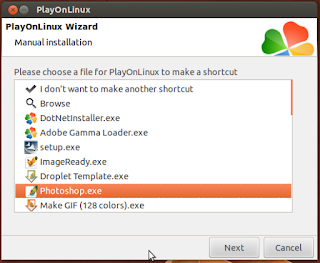 Note: you somehow you are seeing an error that because you didn't install the require dependecy libreries for the Photoshop softwares. Go back again and install pop_install_flash, pop_install_directx, pop_install_sharpsmothRGB, pop_install_linuxtrack, pop_install_msxml3, pop_install_msxml4, pop_install_msxml6, pop_install_VedioDriver, pop_install_xvid, pop_internal_installFonts, pop_wine_installCDrom, pop_wine_LinkCDrom etc to install the software properly. 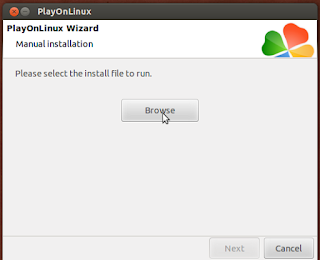 How to re-install grub??? How can I load redhat when all I have is Grub? How we can reinstall grub from grub command prompt? How can I load redhat when all I have is Grub? Where is the syslog location in Redhat 6?